No cash? Our suppliers honor debit cards (as long as it has the Mastercard/Visa emblem). Pay with your card on pick up. If you’re having second thoughts, you can always talk to us. Visit our Contact Us page. 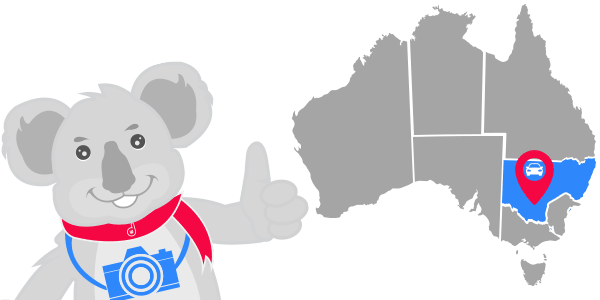 Book your rental car for Penrith with BargainWheels and you will have the peace of mind that if you need to cancel/modify your booking, we will not charge you anything. BargainWheels equals No Cancellation Fees! Our suppliers are national leaders in the rental car industy, Avis, Budget, Thrifty, Europcar and Hertz. At the foot of the Blue Mountains, Penrith is the most westerly part of Sydney. Indeed there is conjecture whether it’s part of Sydney at all. The locals have built the biggest club in the Southern Hemisphere – The Panthers World of Entertainment. The Club – because that’s all the locals need refer to it as – was originally just home to the Penrith Panthers Rugby League team. Now it’s a ‘gaming and entertainment’ Mecca that would make Las Vegans proud of the erections. The city has hundreds, that’s hundreds, of bars, cafes, nightclubs and restaurants. There’s more poker machines than people in Penrith to play them. It’s got cinemas, a tennis complex and a golf course. It’s got it’s own lake! It’s an absolute monstrosity. It is easy to get around Penrith and once you have done a few drives in your rental car, you shouldn’t get too lost. Still, it’s worth a visit. The beer’s a reasonable price and where else bar Vegas could one lounge like a lizard in such lugubrious, largesse? Nowhere! The Club dominates the landscape but there’s plenty else to do in the district. A mob called Better Adventures run abseiling, bush walking, canyoning, rock climbing and women’s empowerment days. It’s fun! The company also specialise in adventure, ecological, 4WD and photographic safaris. Most of these run up the river and into the National Park but occasionally they go into the Panthers Club to record wildlife documentaries for Dicky Attenborough. Not always, just every now and then. Book a rental car in today and enjoy Penrith and the surrounding area, including Sydney City.